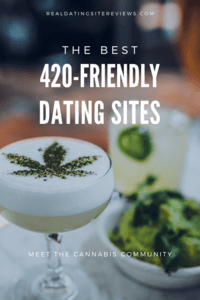 Years ago, a reader wrote in asking me if I thought it was a good idea to say they were “420 friendly” on their dating profile or on a first date, as it was an important factor for them. At the time marijuana use was illegal in all US states, and the reader’s concern circled around whether their employer might discover their pot-smoking proclivities online. As someone who grew up in Vancouver, Canada, this question had yet to cross my mind; I had a hard time finding online dating profiles that didn’t have “420 friendly” proudly displayed. Trying to find someone who didn’t like marijuana use? That was a task. When I asked readers about their thoughts, the answer resounded loudly: no. Don’t do it. Wait until you’ve met to share this information. Fast forward a few years, marijuana use is legal in some US states and all of Canada, and it’s impossible to drive ten minutes in my hometown of Vancouver without seeing at least one medical marijuana dispensary. Has the online dating world evolved as well? You betcha. 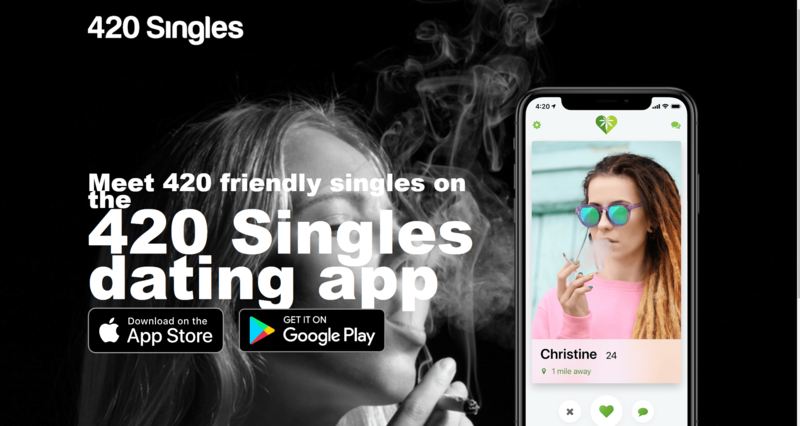 With these changes came a plethora of dating sites adding additional smoking preferences, and sites specifically geared towards those who enjoy a bit of Mary Jane. Does that mean it’s safe to disclose your pot smoking habits online? Safe, sure. Recommended, no. Wouldn’t you rather disclose on your own terms, then have your potential employer, parents or children find out when they search for you online? So, as with all dating sites, make sure you’ve read the dating site fine print before trying any out. I’ve done much of the hard work for you with these quickie reviews, sharing what I think’s important with each one. Still, do your due diligence before signing up for these, or any, dating site. Onto the best 420 dating sites! Cost: Free. Download an app to use the community features (iOS, Android). “The Cupids of Cannabis,” or My 420 Mate offer one of the slicker sites to peruse from for a date, and I quite enjoyed the play on words within the company, such as, “plant a seed and watch it grow”. Unfortunately, the site (as most on this list) started in April 2015, so the user base needs fleshing out. Cost: First 65 credits? Free. 77 credits will cost you $4.99 and go up from there until a cool 1500 credits for $29.99. Since 2011, 420 Singles (also known as Stoner Singles) has offered cannabis users a place to meet on the ‘net, with likely the largest user base (80,000 and growing) because of mentions from Jimmy Kimmel and Saturday Night Live. From what I can tell, the site is mostly free (pay $4.20 for two months access) with ads splattered about all over. Is it pretty? Not really. Is the owner, Ryan, passionate about marijuana advocacy? You betcha. Would I use this site? No, even if I enjoyed cannabis. Why? Because anyone can search and view the site, without even signing up for an account. No thanks. Cost: Free, although the apps have added features and bonuses for a fee. When I first reviewed 420 Singles they had a separate desktop version, but they’ve since retired it. Cost: $4.20 a month or $21 a year. That’s It? 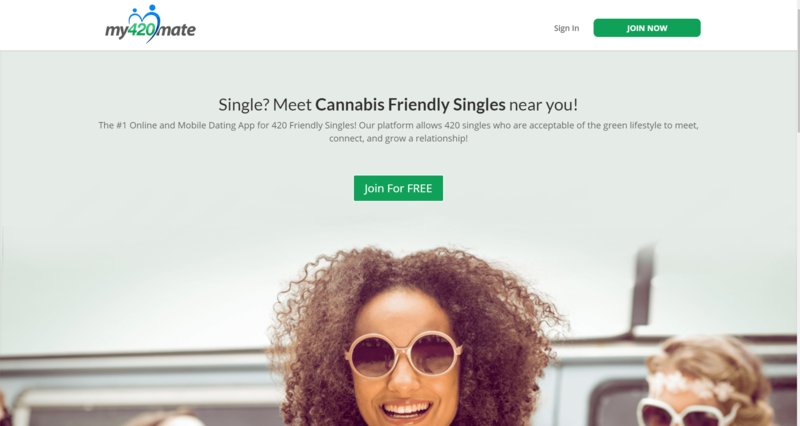 No More 420 Dating Sites? I wish that I could strongly and wholeheartedly recommend more dating sites for people seeking a partner that uses marijuana. However, based on my own and reader reviews, as well as client experiences and other online sources, these are your best bets. I have heard of others finding success at places like Match.com, OkCupid or many alternative dating sites, so you’re more than welcome to try them out as well – and then let me know on Facebook, Twitter, or in the comments.